Ergonomics is concerned with the ‘fit’ between people and their work. 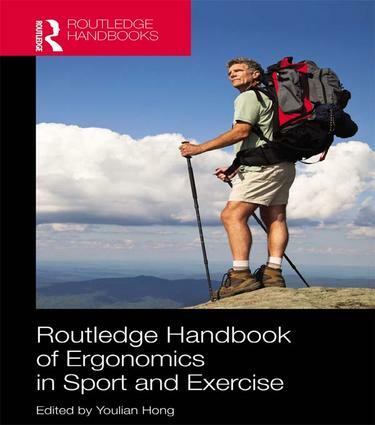 With an increasing number of people becoming conscious about their health and participating in sport or physical activity, ergonomics has become an increasingly prominent concern within the sport and exercise sciences. From the design of footwear and artificial playing surfaces, to studies of proprioception by obese children , the way in which people interact with their environment - designed and natural – has important implications for performance sport and for the design of safe and beneficial forms of physical activity. influence of playing surface, footwear and equipment design. Bridging the gap between fundamental scientific research in sport and exercise and applications in sport and exercise contexts, this is an important reference for all advanced students, researchers and professionals working in sport and exercise science, kinesiology, sports technology, sports engineering, ergonomics, and product design. Youlian Hong is a professor in the Department of Sports Medicine, Chengdu Sports University, China. He received his PhD from the German Sports University of Cologne. He is also Editor-in-Chief of Research in Sports Medicine: An International Journal, and Fellow, Live Member and former President and Geoffrey Dyson Lecturer of the International Society of Biomechanics in Sports.